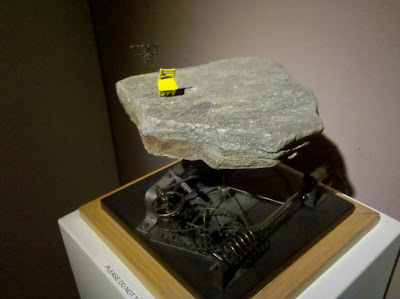 On Monday, my little brother Peter and I visited the MIT Museum. 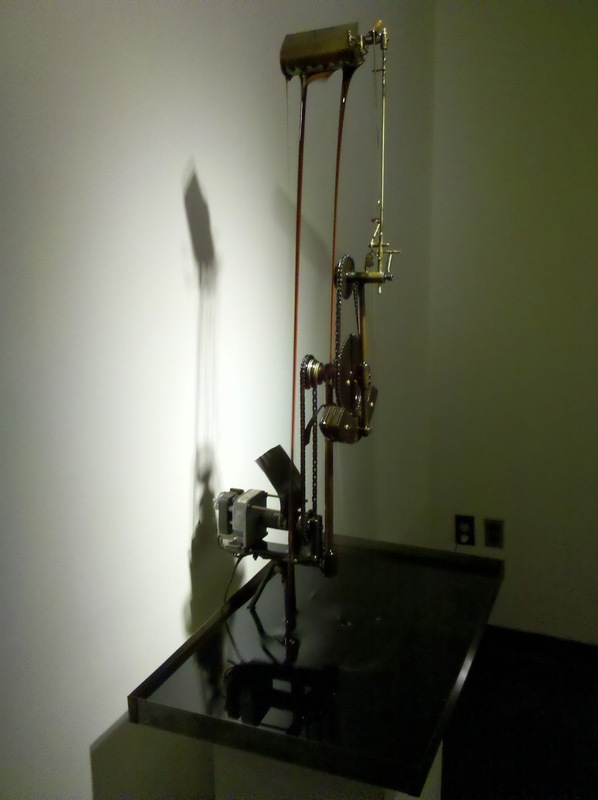 I think my favorite part was the surrealist kinematic sculpture by Arthur Ganson. This exhibit also caught my eye. 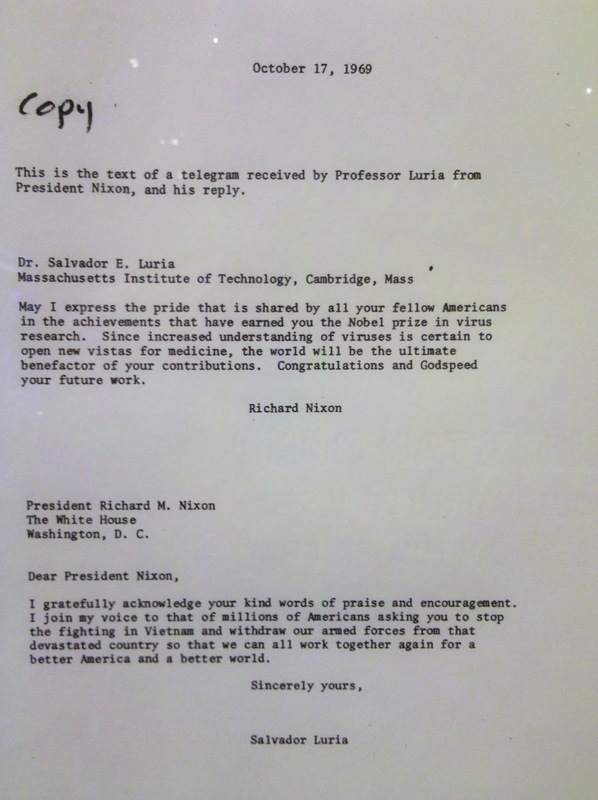 It's a telegram of congratulations from President Nixon to an MIT researcher who had just won the Nobel Prize, followed by the researcher's reply. 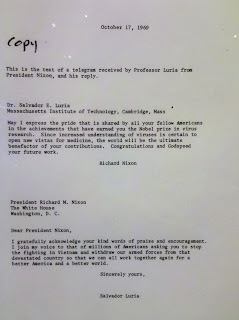 The content of the reply? 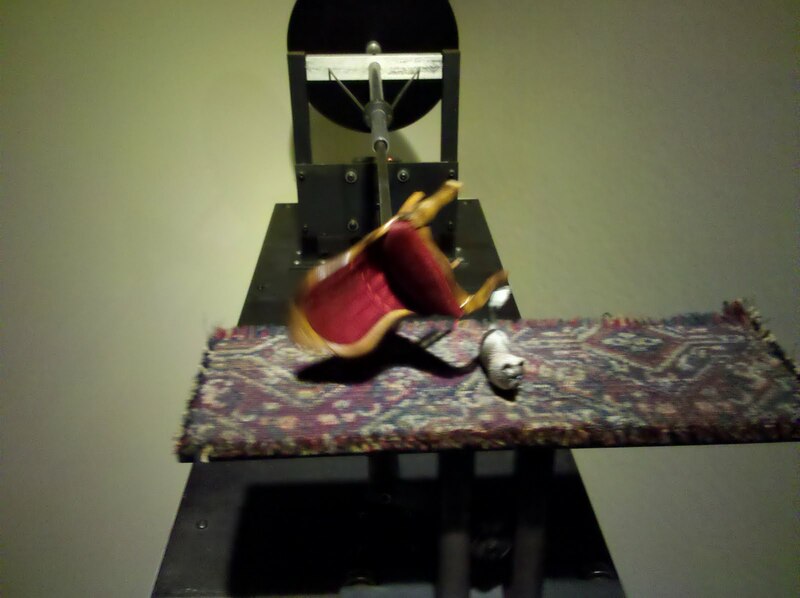 Essentially, "Glad you appreciated it. Please end the Vietnam War." I thought that was pretty great. 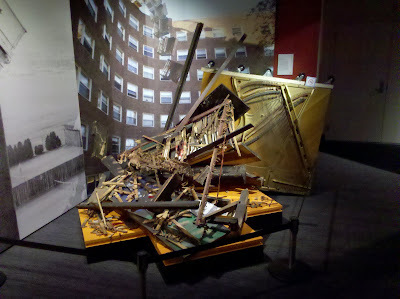 This exhibit commemorates the annual habit of a particular dorm: throwing a piano off the dorm's roof. The wreckage of one such piano was considered museum-worthy.